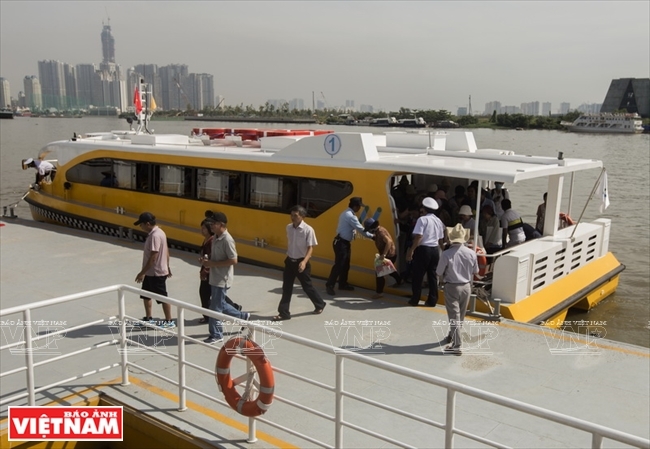 After months of expectation, Saigonians finally can take a river bus, avoiding the traffic on the streets of the country’s busiest city. 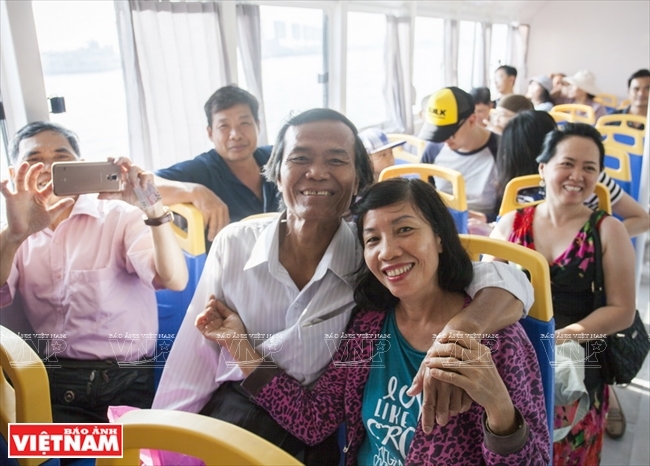 On a Sunday morning, Dinh Thi Hang from Thu Duc district and her family bought tickets to try the city’s first river bus which departed from Linh Dong terminal. Instead of the vehicle emissions, dust, scorching sun and traffic jams she often suffered on roads, Hang enjoyed the fresh air as the boat traveled along the Saigon River. 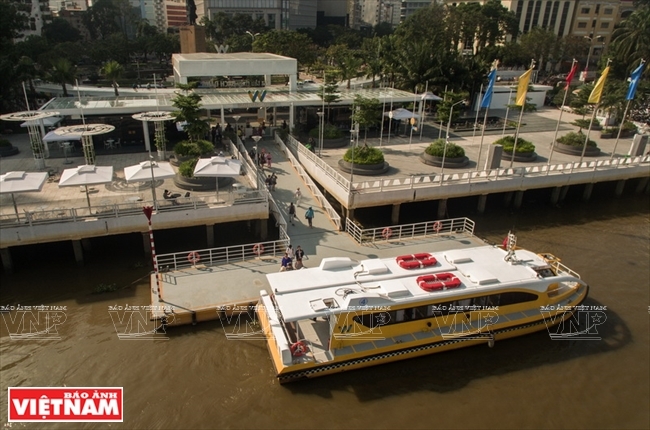 Moored at Bach Dang wharf, the 18m-long yellow watercraft, is designed like a hydrofoil. The boat, with a complete system of lights, air-conditioning, fire warning system and toilets, can accommodate 80 passengers. Its windows are large enough for passengers to clearly see the scenery along the banks of the Saigon River. 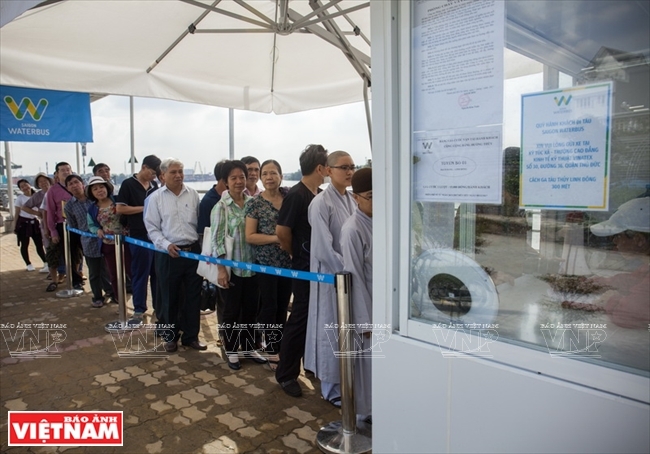 The first river bus service opened by Ho Chi Minh City Transport Department and Thuong Nhat Company Ltd.
Bach Dang wharf, a terminal of the river bus route. Queuing for tickets at Linh Dong terminal in Thu Duc district. Passengers pose with the river bus. The watercraft can accomodate 80 pasengers. 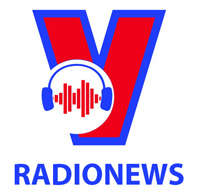 The new service attracts a great number of locals and visitors. 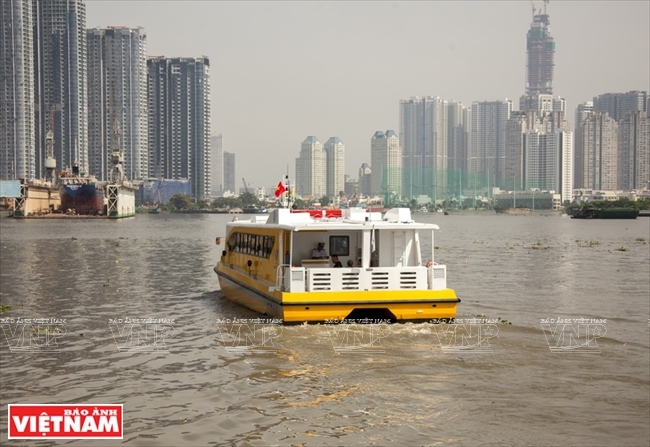 River bus service creates a difference in Ho Chi Minh City’s mass transit. Happy with the new transport service. 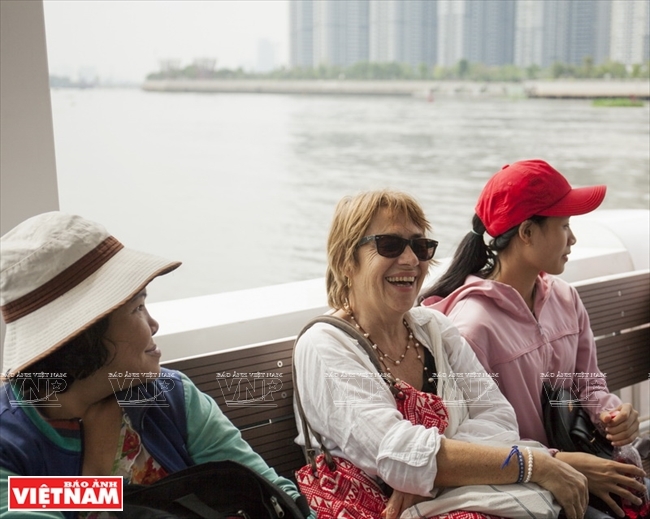 The service offers passengers a fresh air trip along the Saigon River. 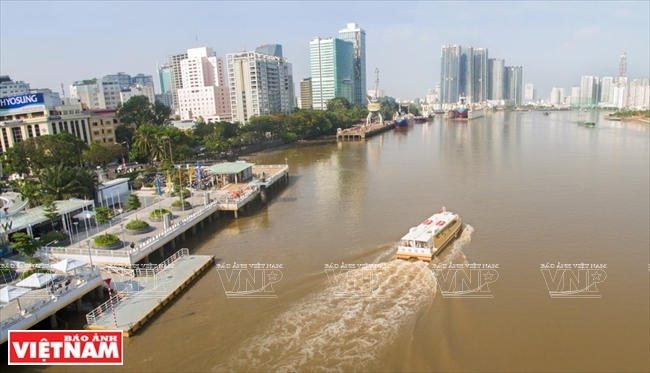 Operated jointly by Ho Chi Minh City’s Transport Department and Thuong Nhat Company Ltd, the 10.8-km-long waterway bus route is set to connect Bach Dang wharf in District 1 with Linh Dong Ward in the outlying district of Thu Duc, and runs along the Saigon River and Thanh Da Canal. 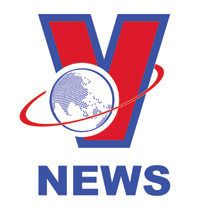 Besides these two main terminals, the bus picks up passengers at three stops on the way, Binh An (District 2), Thanh Da (Binh Thanh District) and Hiep Binh Chanh (Thu Duc District). The boat runs from 6:00 am to 7:30 pm, and the schedule is subject to slight changes based on the weather and number of passengers. The one-way journey will take 30 minutes. At each stop, the bus will stop for 3 minutes with a light and radio system notifying passengers of the stop. 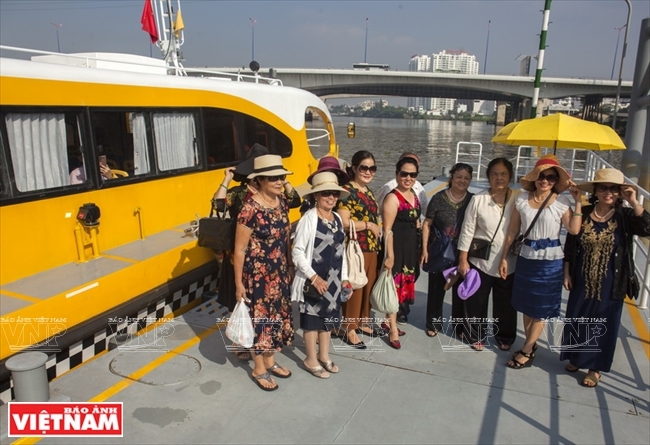 The river bus service has attracted a great deal of local and foreign visitors, as it offers them a chance to discover the beauty of Saigon from the river. 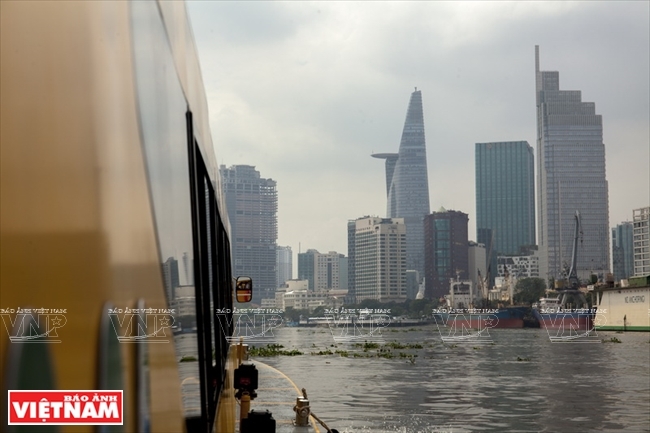 On this route, passengers can see skyscrapers such as Bitexco tower and neglected swamps along the Saigon River. 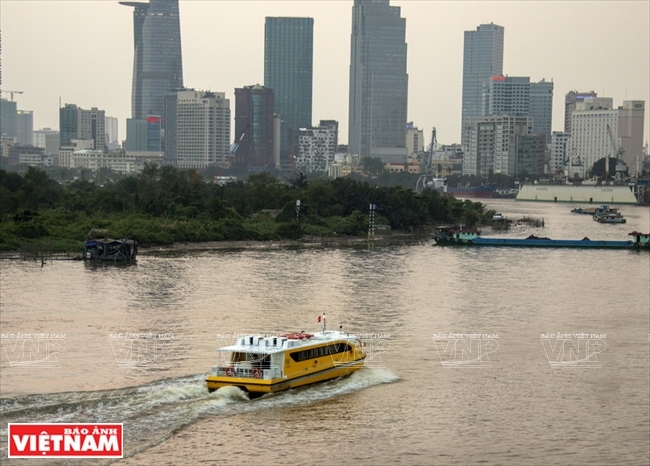 The fare of 15,000 dong for a one-way trip is cheap, agreed Hoang Huu Nghia, a passenger, saying from a river bus, Saigon looks beautiful in a different way. 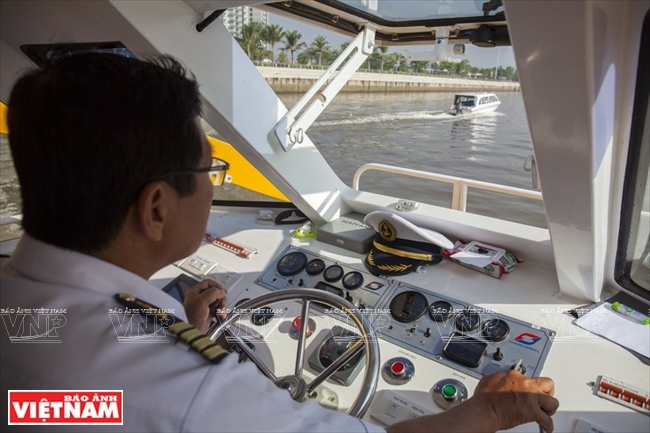 The demand for this new mass transit service is high but we currently have just four boats in service and one in reserve, said Tran Kim Toan, director of Thuong Nhat Company, adding the company will make appropriate adjustments to better meet passengers’ needs. 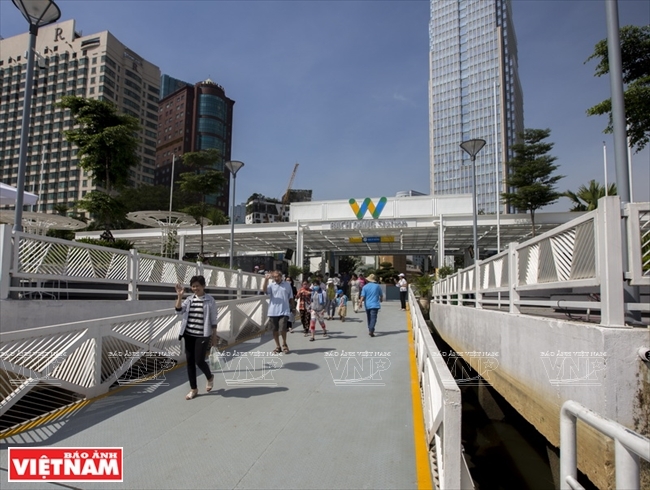 In the near future, the second river bus service running from Bach Dang wharf to Lo Gom in district 6 will open. The bus is noticeable for its yellow colour. 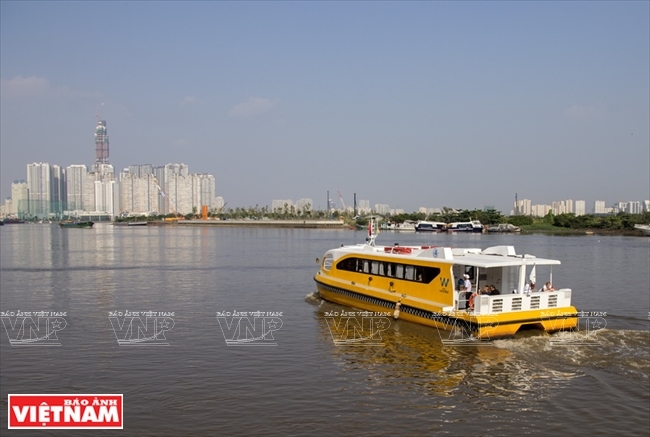 It is the first river bus route on the Saigon River. The waterway service is environmentally friendly. From the river bus, passengers can see Ho Chi Minh City’s architecture such as Bitexco tower. Foreigners pose at Bach Dang wharf. 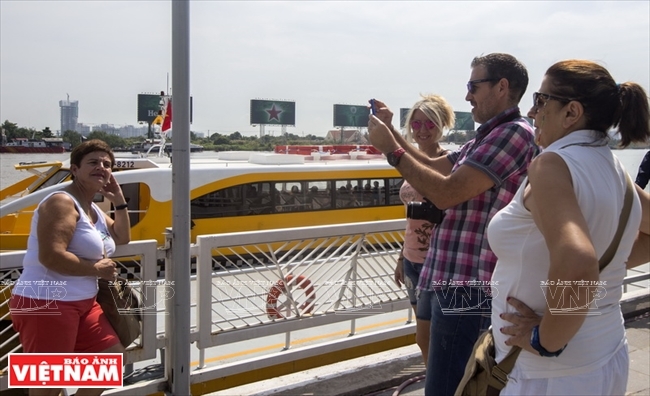 To facilitate passengers, Ho Chi Minh City has opened three tramcar routes connecting waterway bus stops with central points in the city, including Ben Thanh market, the municipal theatre and Nguyen Hue walking street. 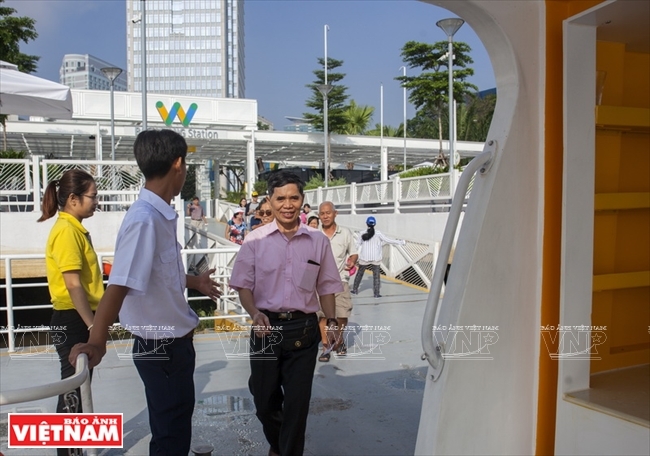 The city will also diversify its waterway transport services, including river bus and taxi, to help boost economic and tourist activities, said Tran Vinh Tuyen, vice chairman of the municipal People’s Committee.